Is your building looking tired and old? FCT will give it a wash down! FCT’s commercial pressure cleaning machinery was specifically designed and built to carefully restore some of the greatest and oldest buildings in Europe. Using fine silica sands and very low pressure cold or hot water FCT can wash down any building safely and without any harm to it’s surfaces. FCT will make your building look young, modern and fresh again and give it a new lease on life! We will remove years worth of built up carbon, pollution, bore water stains and grime. We’ll even clean your car parks and walkways as well! Looking to renovate? We’ll safely remove the paint from your home so it’s ready to be re-rendered. Our machines have cleaned the Arche de Triomphe, Big Ben and many other famous buildings. Make you building feel famous, contact us today to find out more about our commercial pressure cleaning services that we provide right here in Perth. Why is commercial pressure cleaning important? 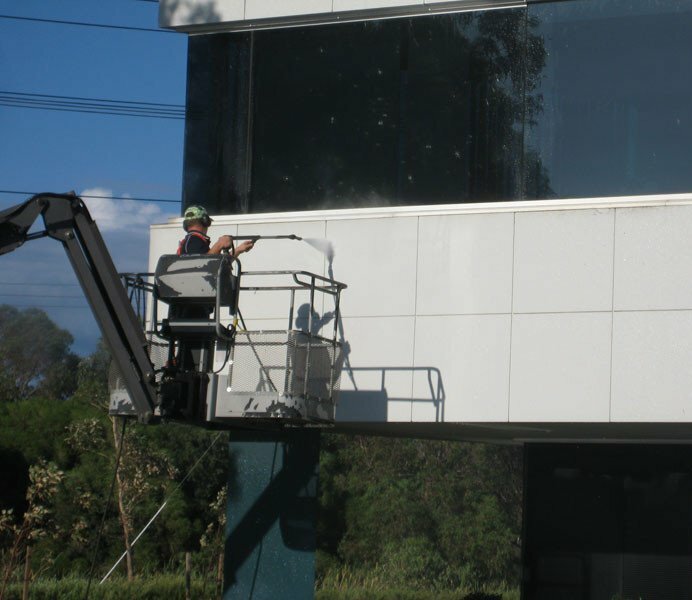 Commercial pressure cleaning in Perth is vital to having the best-looking building on the block. Having a great looking façade is always important, but can really give people the edge they need when selling, auctioning or leasing a property. As a business owner, this can save a lot of time and money by not only having the property look appealing to customers or potential buyers but also by not having to complete the task yourself. This way more time can be spent on the important parts of a business such as focusing on customers and marketing. Another great benefit of commercial pressure cleaning in Perth is that the integrity of a building or area can be preserved in the long run. Mould, moss, and dirt can be easily removed and prevented from getting into further areas of a property. When substances are removed quickly stains can be prevented. High-pressure cleaning is a great way to ensure that your commercial building is looking the best it can and is kept clean in a cost-effective way. Pressure washing is the most effective way to clean outdoor surfaces and can give your building the curb appeal it deserves. 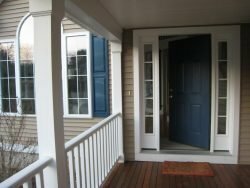 With the changing seasons, it is important to have any dirt, leaves or sand blown away from exteriors in order to prevent them from slowly reaching the inside of a building. Furthermore, extra sunlight can be let into a building by removing the build-up of grime, dust, and cobwebs on windows. This will ensure a commercial property is looking above average and becomes a place where people really want to be. Here at FCT we know how important it is to have concrete, blue-stone, tile, and grout looking impeccable. We can remove dirt from exterior walls, mould from driveways, dirt from deckings and much more. We do all of this effectively but without causing any damage to the surface. This way your commercial property can be revamped in a simple and cost-effective way. A high pressure cleaning (also known as a pressure washer) is a machine that mechanically sprays a surface to remove any stubborn debris. These machines have incredibly high-power hoses that blast surfaces with their water jets. This is very efficient at cleaning outdoor areas such as patios, driveways, decking and even things like barbeques and outdoor furniture. Grime, dirt, dust and other properties can quickly and easily be removed, and leave an area looking fresh and brand new. Many people use soapy water to hand scrub surfaces only to find that stubborn things like paint remains and grime just won’t budge. The good news is that there are experts that can be called, like our team here at FCT Surface Cleaning, that will bring professional equipment to your home or place of business and easily take care of the issue. Here are some of the benefits of our high pressure cleaning services in Perth. 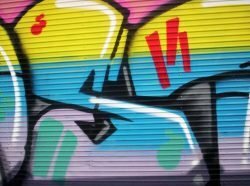 We can remove paint and graffiti can easily clean the area with a high pressure wash. Our expert equipment ensures that graffiti is easily removed and can leave your home or place of business looking professional once again. Here at FCT, we understand how frustrating graffiti or paint stains can be. They are just so hard to remove and can leave a surface looking less than perfect. Instead of scrubbing for hours trying to remove the paint yourself. When selling a for your property possible, it is wise to call our team to give your home the proper clean it deserves. home or getting it ready to rent, it is imperative that it is looking its best. An outdoor area can look dark and dreary when the ground and surroundings are covered in dirt, plants and other grime. A quick clean can leave the area looking lighter and more modern. Graffiti can be removed from fences, dirt can be removed from driveways and moss can be removed from windows. In order to get the best value. In conclusion, there are many benefits to getting a high pressure clean in your home or place of business. Surfaces can become clean and clear, grime can be removed, and properties or businesses can be left looking a million bucks. We can help you or your company by easily removing graffiti and paint, by getting your home ready for sale or for rent and by saving you from any unnecessary purchases. Take advance of our professional services by giving one of our friendly team members a call today on (08) 9204 3333 or send us an email at admin@fctcleaning.com.au.